ION Orchard has appointed VML Singapore to handle its social media duties for a year. VML will support ION Orchard across all aspects of its social strategy, including content planning and asset development, community management, reporting and analytics, as well as strategic campaigns and related events. In a bid to strengthen ION Orchard’s identity through its social media channels to remain competitive, VML will develop strategies that increase top-of-mind awareness for the shopping mall among its target audience. 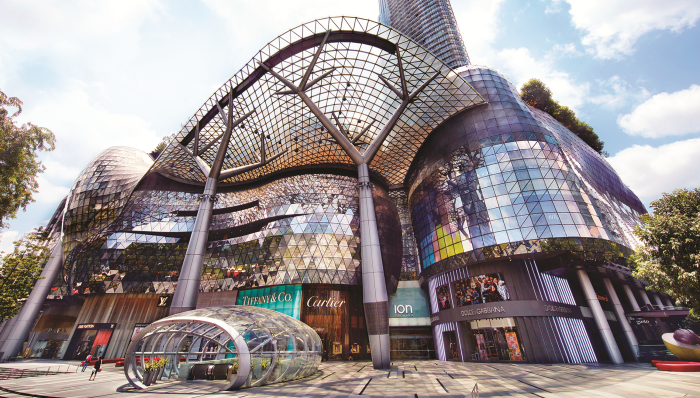 The agency is also tasked with reaffirming ION Orchard’s positioning as the destination of choice for both locals and tourists. KRDS Singapore, which was the incumbent on the account, confirmed that the agency did not pitch again due to “reduced budgets”, “differences in strategic direction” and a “non-compete agreement”. Last year, ION Orchard renewed its contract with KRDS to manage its digital presence for another year. “ION Orchard has very digital-savvy and socially-connected shoppers. We are excited to work with VML to explore new technologies and digital experiences which can translate to enhanced shopper experiences for our customers,” Chris Chong, CEO Orchard Turn Retail Investment, said. “We are incredibly honored to partner with a brand as vibrant and inspiring as ION Orchard, as it makes waves in retail innovation. Consumers rely on digital for everything – from deal hunting to location mapping and information gathering when it comes to shopping these days. We look forward to helping ION Orchard join the dots for their consumers through the powerful use of their social channels that encompasses pre-shopping trip research to post check-out customer services,” Tripti Lochan, CEO of VML in Southeast Asia and India, said. In July, ION Orchard picked DDB’s TRACK Singapore as its creative agency following a pitch, to manage its integrated advertising communications. Earlier this year, VML was appointed by the Asian Civilisations Museum and the Peranakan Museum to revamp their digital platforms. The agency was responsible for the platform strategy, which includes consumer journeys, user experience, interaction design, and front-end development of both museum websites. The agency was also appointed as Innisfree’s social media agency in Malaysia, following a competitive pitch. The engagement began in April 2017, with VML leading the brand’s digital marketing, including digital transformation, campaign concepts and creative, content marketing, social media management, analytics and reporting. In March, VML named Donald Lim head of platforms and experiences (P&E) to lead initiatives and drive processes at the agency’s newly-established Centre of Excellence (COE) in Singapore. The P&E COE is one of the three that VML as a network is building globally, the other two based in Kansas City and London. Consumers around the world are spending more time viewing content on their mobiles but marketers are still preferring to spend on ..